The presidential candidate of the Peoples Democratic Party (PDP), Nigeria’s main opposition party in last month’s Presidential election, says data from the server of the Independent National Electoral Commission (INEC) revealed how his votes were reduced in 31 states and the Federal Capital Territory (FCT). 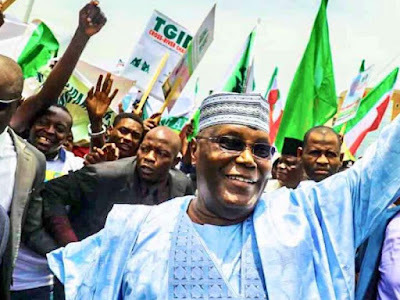 reports that Abubakar, a former Vice President of Nigeria, made the claim in a petition he and his party filed before the presidential election tribunal. However, reports that the result declared by INEC from the 36 states and the FCT, showed that Buhari polled 15,191,847, while Abubakar came second with 11,262,978 votes. A breakdown of the 174-page document showed the electronic collation of results state by state as of February 25, showed that the Presidential canidate recorded 664,659 votes in the electronic results from the server in Abia state, against the 219,698 votes recorded by the commission.